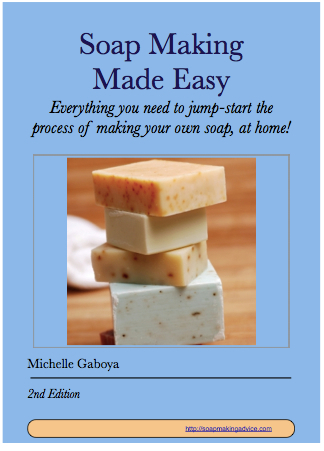 Do you remember one of my last posts on soapmaking E-books? And that I will let you know once I find something interesting? Now I did, but first, let me tell you a story. Some time ago, I ordered online an e-book, claimed to be “The complete guide” on hot soapmaking, with many bonuses, only for $47…. The “complete” guide consisted of pages with very large fonts, badly formatted, where I learned absolutely nothing new. When I looked at the real soapmaking books in my library (mostly around $20), each of them contained twice more information with nice images and formatting. I was very disappointed and claimed my money back. Now you can imagine I was not keen to buy any e-book soon and even less to recommend one. From time to time, I get contacted with a demand for cooperation. This book was one of them, and first, I did not feel like advertising, but then I actually read it. The book does not contain tons of pretty images, neither it goes into detail on very specific soapmaking methods, but this is OK. It is a pretty neat e-book written for beginners, guiding you simply through the basics of the process of soapmaking (cold, hot, liquid) and much to my surprise also through packaging, selling, FDA regulations and even liability! The two chapters on natural colorants and scenting (with tricks on how to test those before adding them into the soap) show Michelle knows her craft well and really gives everything she knows. She added also tables of oil and (!) fatty acid characteristics (the latter is unfortunately in many books ommited), as well as an impressive troubleshooting section. And the price for all of this is $14.99! 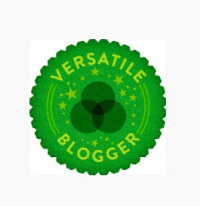 … did I mention the 60 days return guarantee? Yes, I can honestly recommend this book and I do so. I myself have learned some new tricks and recipes! It seems the offer is time limited – I am not sure for how long, so don’t loose time and check the book HERE. 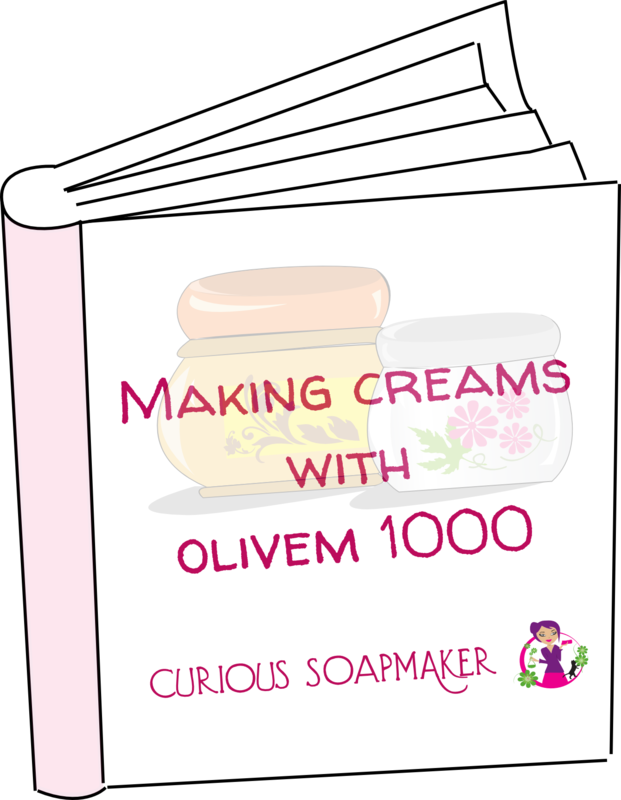 This entry was posted by evik on August 2, 2013 at 23:09, and is filed under soapmaking, soapmaking book reviews. Follow any responses to this post through RSS 2.0.You can leave a response or trackback from your own site.